Speaking about India’s poor fielding, Harmanpreet said it was something the team had to work on. Mithali Raj was promoted as an opener on Sunday as the Women-in-Blue registered a comfortable seven-wicket win over arch-rival Pakistan in the ICC Women’s T20 World Cup. Post Sunday’s win, skipper Harmanpreet Kaur heaped praises on Mithali Raj. Kaur said Mithali was a key component of the team going forward. 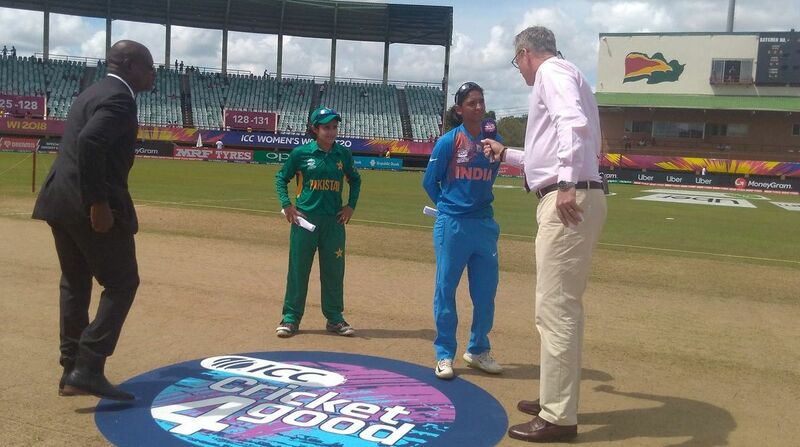 “Mithali is a key player and we have to use her in a smart way. Pakistan are a good bowling side, she’s (Mithali) very good against spin and that’s why we played her up there, it was a decision by the coach and me,” Harmanpreet Kaur said after the match. Riding on Mithali Raj’s fifty, Team India won the match without breaking a sweat but they were let down by some poor fielding with four catches being dropped. “Disappointed with the way we fielded, in short format, it’s very important how we bowl or bat in the first six overs. The bowlers did well but we still have to improve. There is still a long way to go but I feel we are on the right track,” Kaur added. Meanwhile, when India’s ODI skipper Mithali Raj was asked about her batting position. She said, she was happy to perform whatever role the team required of her. “I have always batted in the middle. I enjoy batting anywhere. Chasing puts a little pressure, but no matter what the challenge is, I always enjoy. I see there is no doubt that we will get to the semis, but as we go forward, we’ll be playing strong teams, so we will have to bring our A game in every match,” Mithali Raj said at the post-match presentation.